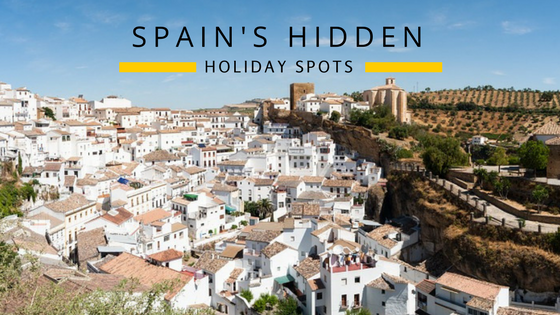 Call us biased, but we happen to believe that Spain is loaded with so many unseen sights that you’ll rarely be bored. You know that line from the Lion King song, “There’s more to see than can ever be seen, more to do than can ever be done”? That’s what it’s like in Spain. 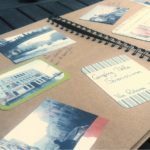 The big attractions on the Costa Brava and Costa del Sol bring thousands of tourists every year, but there are enough smaller, underappreciated places to visit for you not to run out of experiences or sights. Along the much-visited Costa Brava is the relatively unvisited little town of Llafranc. We love this place. It feels enough off the beaten track to make for an escape from the crowds. But there’s also more than enough for families to experience for a whole week. If you’re going to visit, the hotter months of July and August are full of perfect beach days and vibrant celebrations in the town. But there is still plenty to do during the off-peak times. Llafranc usually attracts visitors from nearby Barcelona, those looking to escape the big city in favour of finding a smaller seaside town. The beaches can be sparsely populated but perfect for long days of relaxation and peace. You can easily enjoy the smaller sense of community in a place that doesn’t get much international recognition. 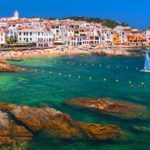 And it’s incredibly easy to walk to similar places, like Calella de Palafrugell. On the very popular island of Mallorca, travel somewhere that 90% of tourists don’t get to see. Visit the Victoria Peninsula, just off from the small town of Alcudia. It’s mainly visited by the local Mallorcans, although the secret is getting out. We suggest finding a spot of your own to explore the coves and beaches of this beautiful and remote location. Tourists love the island for its larger centres, such as Palma, and its popular beaches. Escape from those big crowds by doing some fishing and relaxing on the idyllic coves that make up this peninsula. 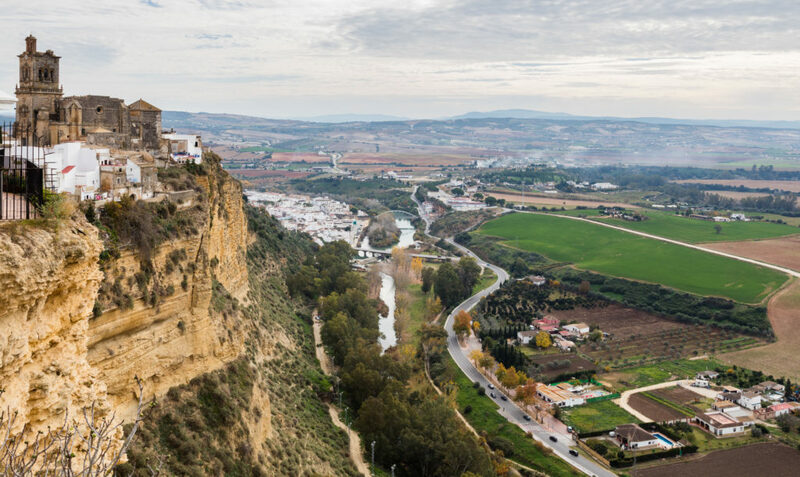 Just off the well-worn path from the popular Costa del Sol is the municipality of Arcos de la Frontera. It’s one of those places that feel like they should be more popular than they are. But because it’s slightly inland from its more popular neighbours, it remains a little hideaway that only the experienced travellers get to visit. It’s perfect for a day trip or for spending a few days in on your own. 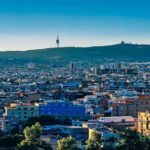 You get to enjoy the local life of Spain without the hassle of tourism ruining the authentic experience. The town is famous for its perch on a ridge overlooking the lower lands beneath it. It’s perfect for taking selfies at the centuries-old castle that still stands today. Take photos of the relics that have been around since 1100, and make your friends jealous that you ever found such a beautiful location. Ever heard the term “between a rock and a hard place”? This is the town that took that saying to its extreme. 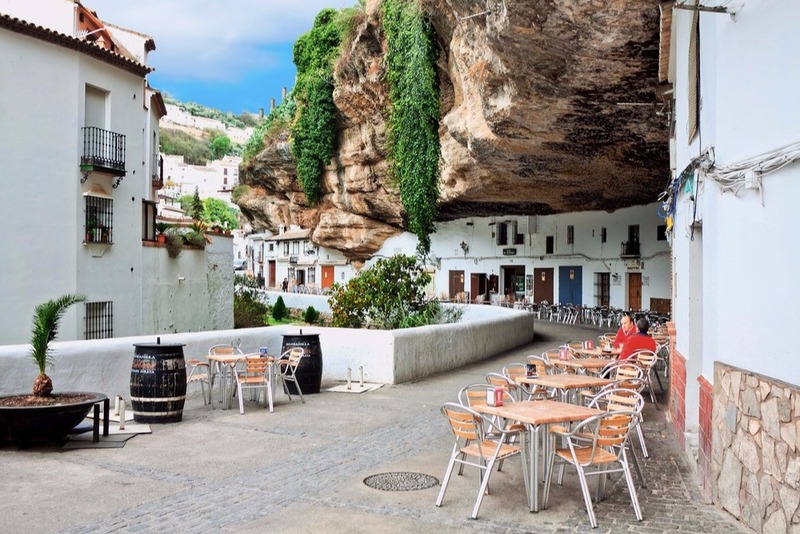 Not far from the above-mentioned Arcos de la Frontera, Setenil de las Bodegas is a town that has been built into rock formations nearby. It gives you the impression that the town is being swallowed up by the rocks, and that the houses are temporarily standing before being crushed into oblivion. But the town has been around since at least the 12th century, with the castle that still stands today. Explore the gorge that houses a town that only has around 3,000 inhabitants. You can also taste the chorizo which the town is also known for producing. It’s the place that hardly anybody goes to, but Mahón deserves your attention. 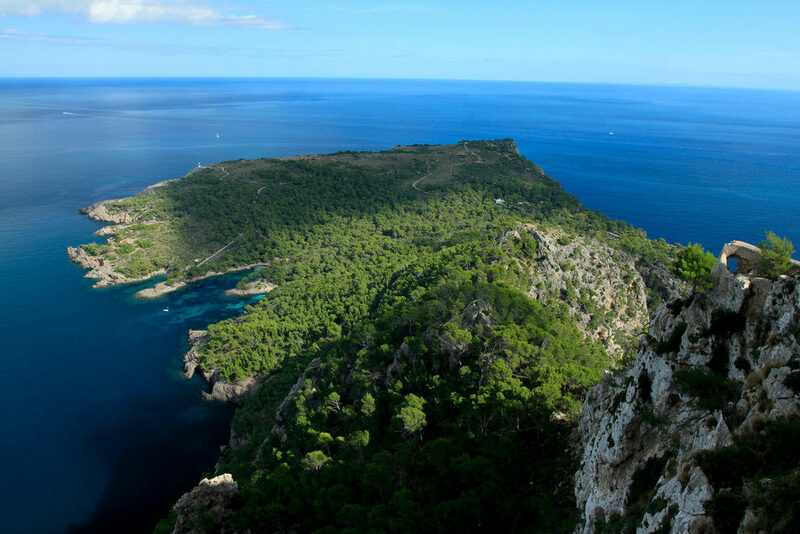 It’s located on the brother island to the more popular Mallorca, Menorca. It mainly gets visits from the locals, but don’t let that stop you. The inlet and the harbour in the city create incredible sights that look amazing by day, or even better lit up at night. 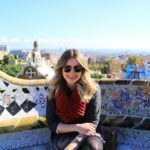 There are plenty of smaller squares for you to find a café and while away your day drinking Spanish wine and eating tapas. Mahón’s crystal-clear blue waters are deep, but remain stunningly beautiful because of the protection of the natural landscape around them. And if you were to make Mahón your base for your travels around Menorca, you’d be hard-pressed to find another scenic location quite like this town. As you travel along the coast, you’d almost miss Altafulla if you weren’t paying attention. But you shouldn’t miss this location, as it’s one of the hidden gems of the Costa Maresme. Your first stop should be the beach. 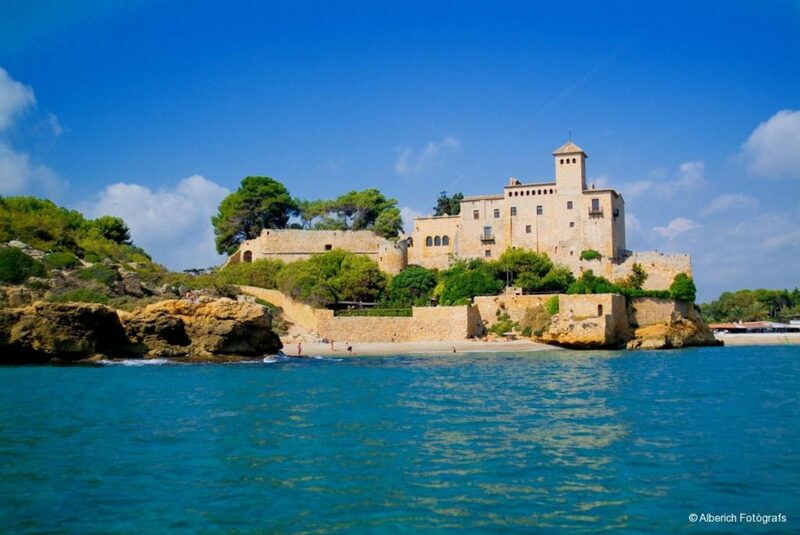 How often can you swim in the sea while seeing the 400-year-old castle overlooking the waters? The Tamarit Castle is a staple of this idyllic location that hardly anyone visits. We can’t understand what makes Altafulla less attractive, but maybe it’s because its closest neighbouring city is Barcelona, which pulls the tourists like a magnet, thereby giving you the chance to enjoy some of the smaller sights, such as Altafulla’s relaxed fishing-village vibe. We’re pretty certain that Spain is going to keep you occupied for a long time. It has enough big sights and small sights to make repeated trips required to take it all in. You won’t be bored with all you can do here. 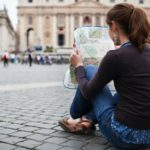 Take your chance today to find out how Spain can become your next great exploration.